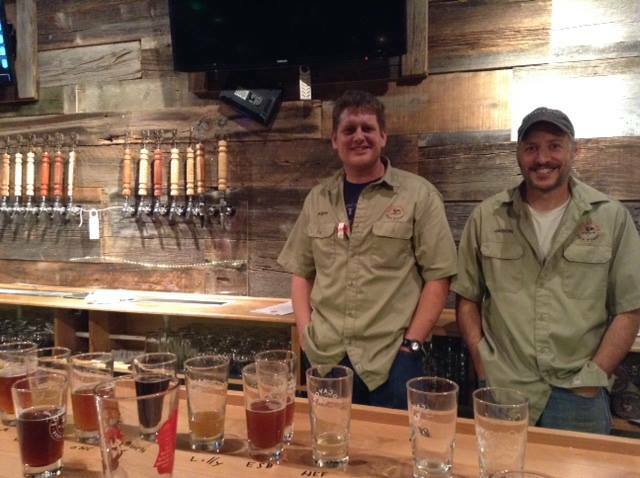 Locavore Beer Works is a craft brewery located in Littleton just west of Santa Fe Dr on Bowles. Nestled in the Columbine neighborhood, Locavore Beer Works is the first brewery in Littleton to be established in a business zone. While our microbrewery specializes in handcrafted beers, we keep our focus on our Colorado residents by providing a comfortable, friendly, and inviting atmosphere. The brewery is family and pet friendly with ample seating inside and outside on the patio which is complete with a fire pit! If you are looking for award winning craft beer and a great brewery experience in Littleton, this is the place to be! Put simply, it is a person who chooses to support local industry, whether it be food, general services, or products. In the end, it comes to this: support your mom and pop shops before the big box guys. With that being said, we are committed to supporting our neighborhood businesses, artisans, craftsmen, charities and, generally speaking, the local industry which is the root of our community. Locavore Beer Works is founded on the belief that our local community should be the first source for all of our needs. After a few years in the US Navy, Jason Reinhardt completed a degree in chemistry and until recently, spent the last two decades analyzing drinking water for pollutants all the while fostering his love for brewing. Now when not brewing beer, you might find him fine-tuning his woodworking skills or even better, casting flies in the Platte. For Andy Nelson, making hard cider with his Dad in the 70’s gave him a life-long appreciation of creativity in fermentation. An airline pilot by trade, all he really wants to do is make beer and chew the fat in the taproom. Our goal is to bring the “neighbor” back into the neighborhood.